Very good for cooking and pies. 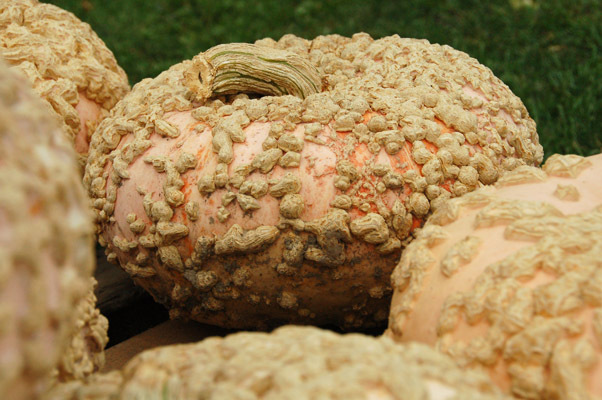 Galeux d�Eysines squash has salmon-peach colored skin that is covered in peanut-shell like protrusions. 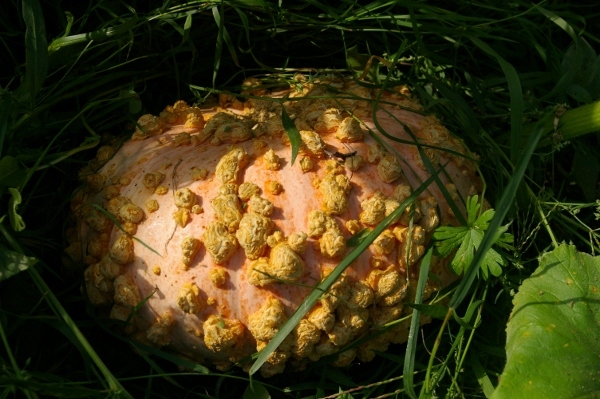 When maturing from green to orange, sugars in the flesh begin leeching through the skin which is what causes its unique, wart-like bumps. 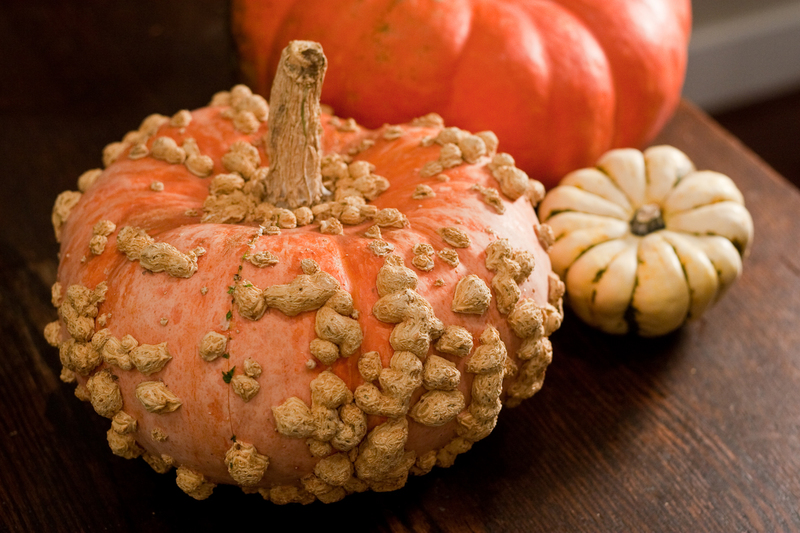 As the sugar content grows, the more nodes appear on the outside of the squash. 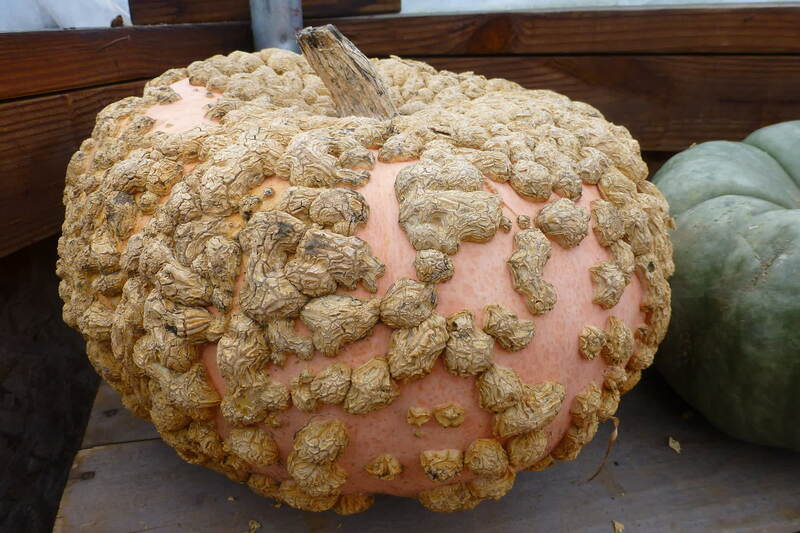 The more peanut-shell like protrusions, the sweeter the squash. 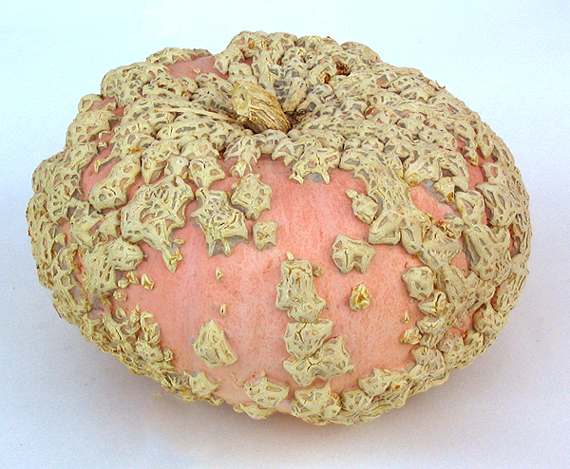 The flesh is a bright orange with a medium-sized seed cavity. 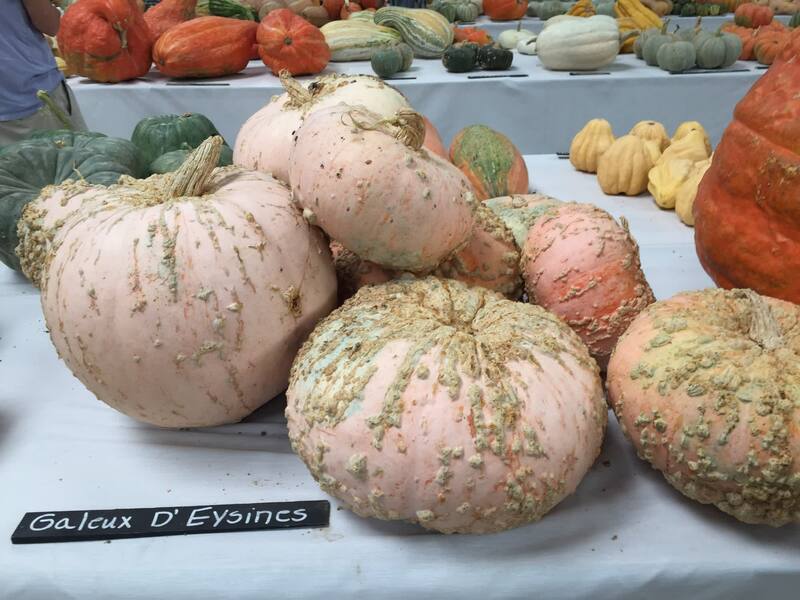 Galeux d' Eysines squash has a sweet flavor, with a smooth velvety texture free from the fibrous strings found in many other squash varieties. Galeux d�Eysines can grow to be between ten and twenty pounds. 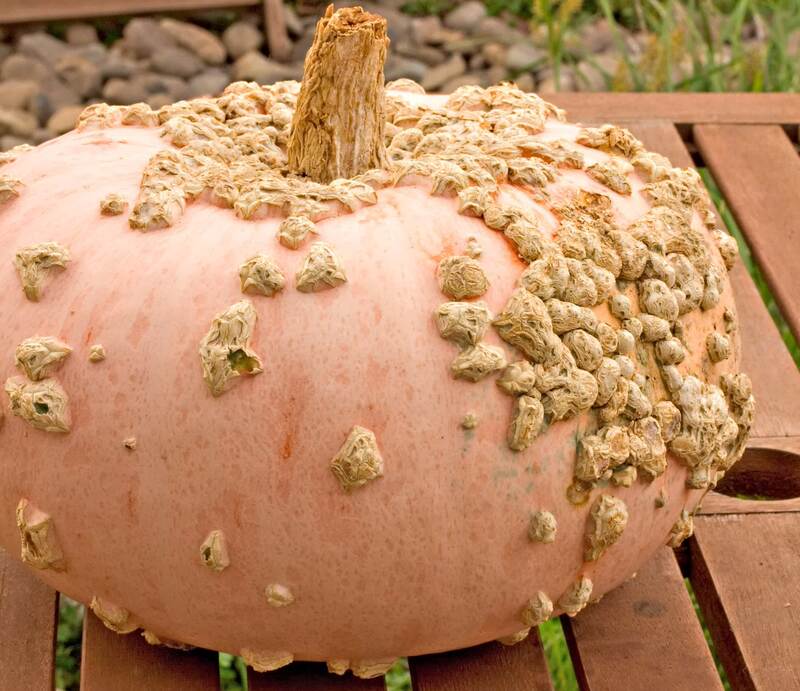 Galeux d�Eysines squash is an heirloom variety which originated in Eysines, France in the nineteenth century. A variety that was shaped like a club is believed to have existed in 1880 and was known as Corge Brodee de Thoumain. 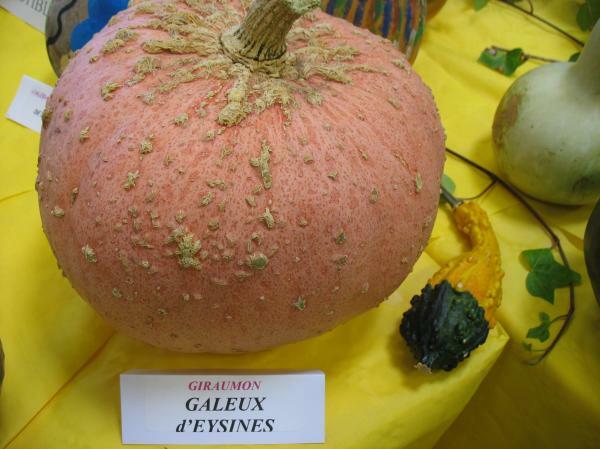 The Galeux d�Eysines is thought to have made its way to the United States first in 1996 after seeds for it were brought back by squash expert and author Amy Goldman from Foire aux Potirons a pumpkin festival in Tranzault, France. Still a unique variety in America it can be found when in season at farmers markets and in home gardens. The plant is a prolific producer and is hardy to a variety of growing conditions. Harvest the 10-20 lb. 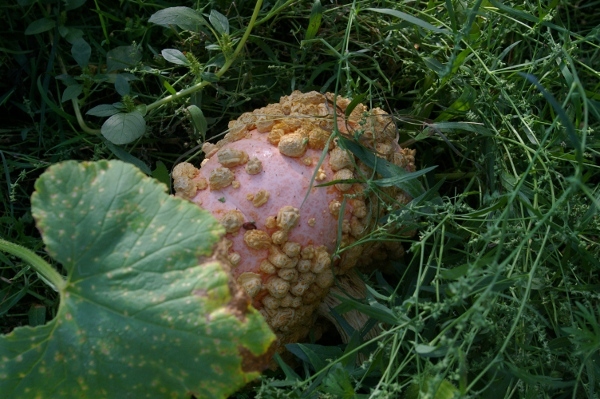 mature fruits in about 90 days. 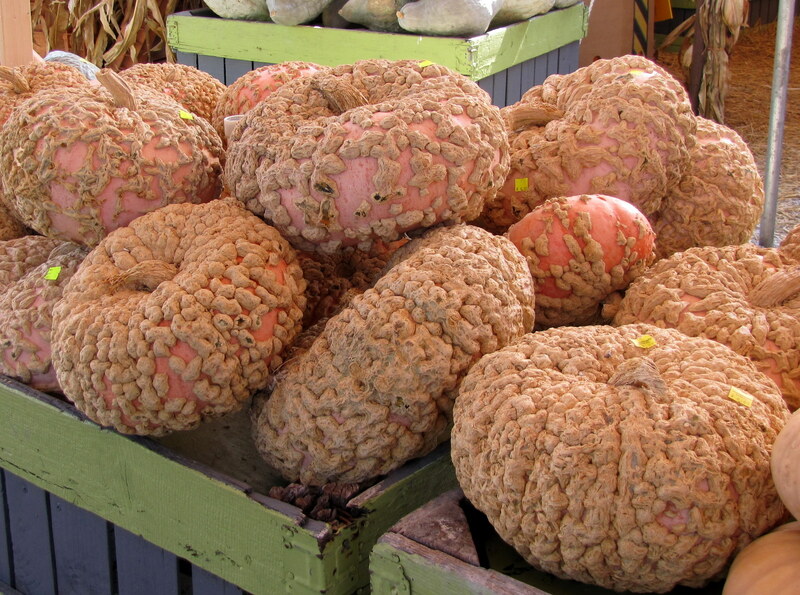 This pink-skinned pumpkin is lighter in density than most other pumpkins and is mild and fluffy when baked. It can be eaten straight out of the oven and is also good for soups and stews and baked with a pot roast.